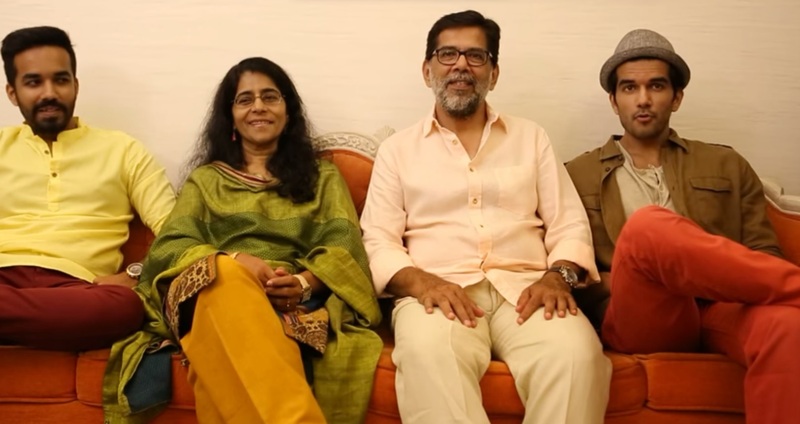 On the occasion of World Family Day, the entire star cast of the upcoming Bollywood movie “Dil Dhadakne Do” surprised their fans with a heart-touching video of their real-life families. 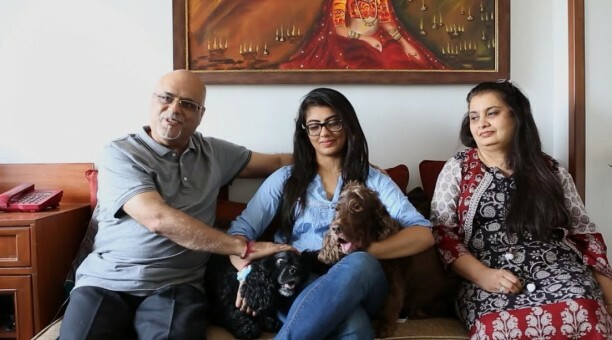 The video is a beautiful montage of memories where the actors share a couch with their loved ones and talk of what makes their family the way it is. Six couples from six different cities also joined the star cast while filming this impromptu video. The three-minute promotional video has been shot by Reema Kagti where she takes the fans backstage into the life of the movie’s starcast — Anil Kapoor, Shefali Shah, Ranveer Singh, Farhan Akhtar, Priyanka Chopra and Anushka Sharma — where the actors talk about the special bonds and eccentricities that make their family what it is. Ever since the video was released, #FamilyWithDDD has been trending on Twitter-India. 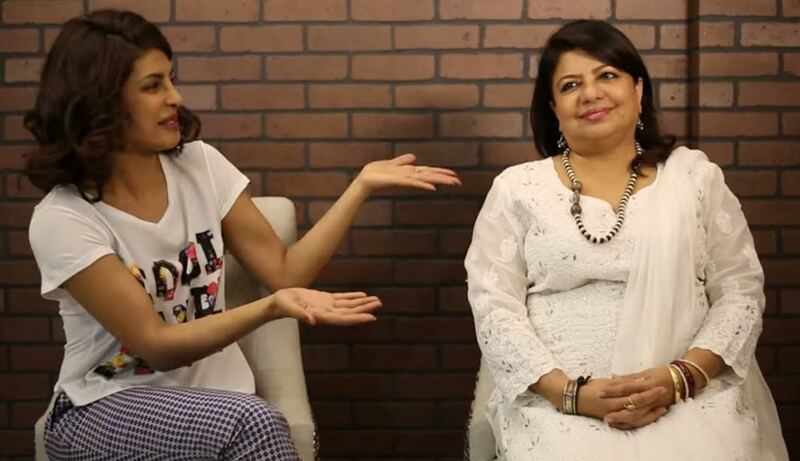 “Family is the only thing that has your back… it’s a wonderful feeling” — the emotions of Priyanka Chopra in the video perfectly sum up the meaning of family and the bonds they share. Farhan agrees to her when he says “It’s where your roots emerge from”. Barring Anil Kapoor, all the leading actors were joined by a family member in the video where they opened their hearts to the fans. While Priyanka Chopra’ was seen teasing her mother; Farhan was joined by his sister and the film’s director Zoya Akhtar. Anushka Sharma shared the couch with her brother while Ranveer Singh’s father seem to be giving him a run for the money. The conversation between Shefali Shah and her husband Vipul is strikingly real and hilarious. All the stars were absolutely candid about their experiences and gave a peek-a-boo into their life — a part often hidden from the fans. The concept of the video is unique and in tandem with the theme of the movie. 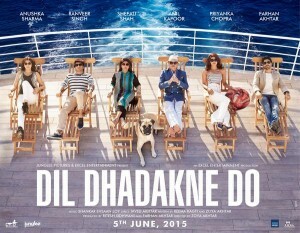 Dil Dhadakne Do is a bittersweet comedy drama about a family that takes a trip that changes them forever. Kamal And Neelam Mehra, one of the most popular couples in Delhi society are entering their 30th year of marriage. This is an occasion that calls for a lavish celebration in their circles. Kamal and Neelam take these social responsibilities very seriously and invite close family and friends on a 10 day cruise of Europe. Once on the ship, their lives start to unfold. Kamal is heading to bankruptcy; Neelam and him can barely tolerate each other. Their business savvy daughter, Ayesha is sick of her marriage and wants a divorce, which leads to a lot of drama with her husband, and in laws who are also there. Their son Kabir, who is slated to take over the family business and hopefully save the company by marrying the only daughter of the wealthy Sood family, starts to have other ideas. He falls in love with an entertainer on board the ship and realizes he is not cut out for business after all. Will the Mehra’s socially sink? How will they be able to confront the society that is so fake and judgmental? How will they swim to shore and survive as a happy family? This is what Dil Dhadakne Do is about. The film presented by Junglee Pictures and Excel Entertainment and produced by Excel Entertainment. 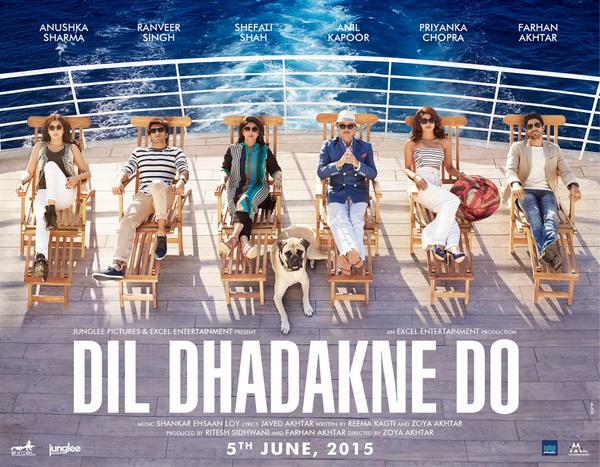 Dil Dhadakne Do is set to release internationally on June 5, 2015. 16 queries in 0.557 seconds.